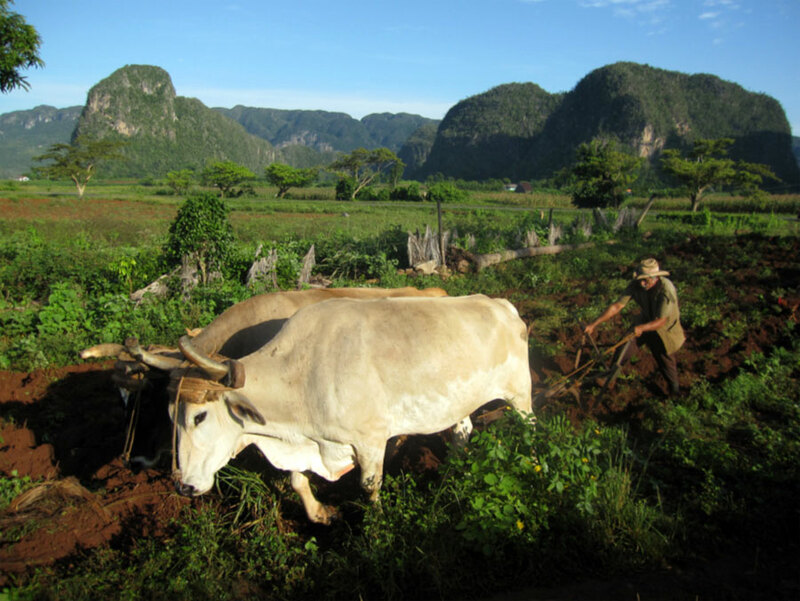 A tobacco farmer working the fertile fields of Viñales is shown with massive eroding limestone karsts, called mogotes, visible in the background. 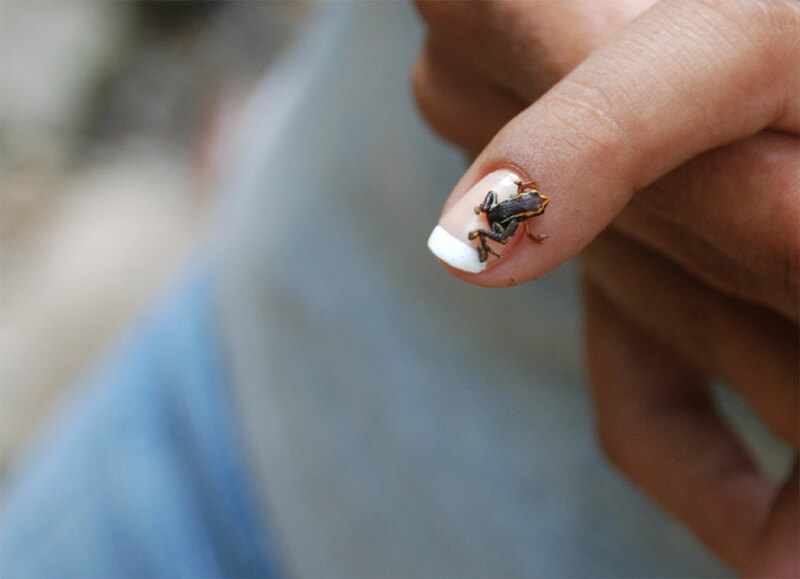 An adult Eleutherodactylus iberia, the smallest frog in the northern hemisphere, rests on a thumbnail. 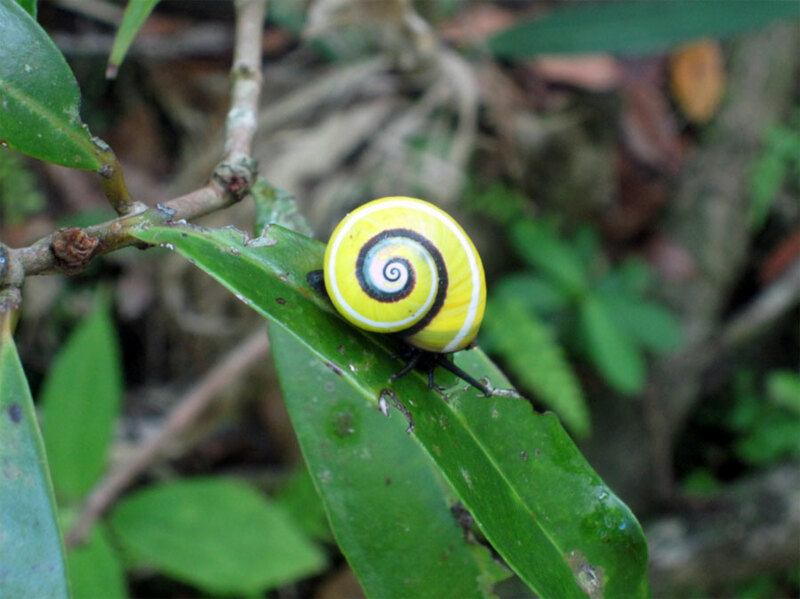 This tiny frog is found only in two regions of Cuba. 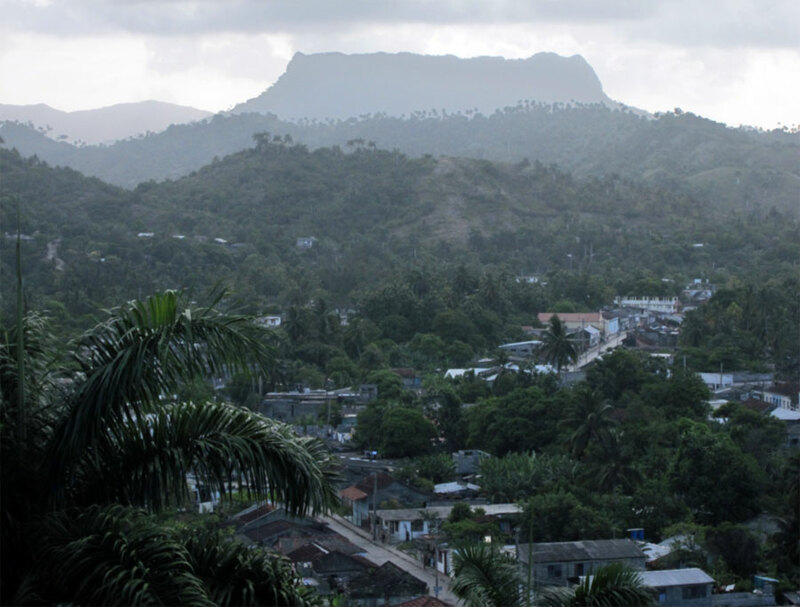 The iconic tabletop mountain, El Yunque, stands behind Baracoa, a small city on the eastern tip of Cuba which was also the first Spanish settlement in the country. 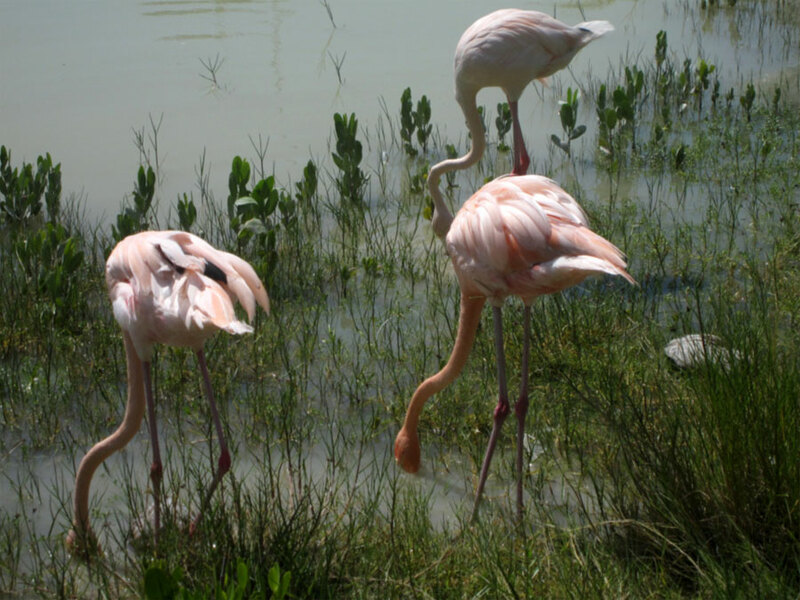 A group of flamingos feed near Cayo Coco, Cuba. 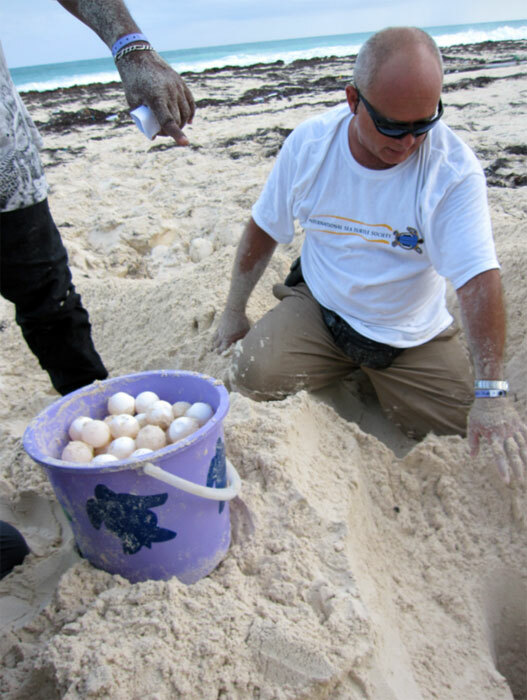 Biologist Gonzalo Nodarse carefully pulls up buried green turtle eggs, which are at risk from poaching and polluted beaches, to be relocated to a hatchery. 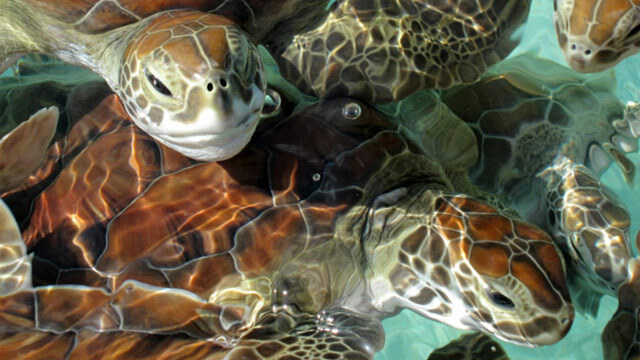 The smell of the sand from this beach will be marked on the baby turtles' shells, and surviving adult females will eventually return to this beach to lay their own eggs. 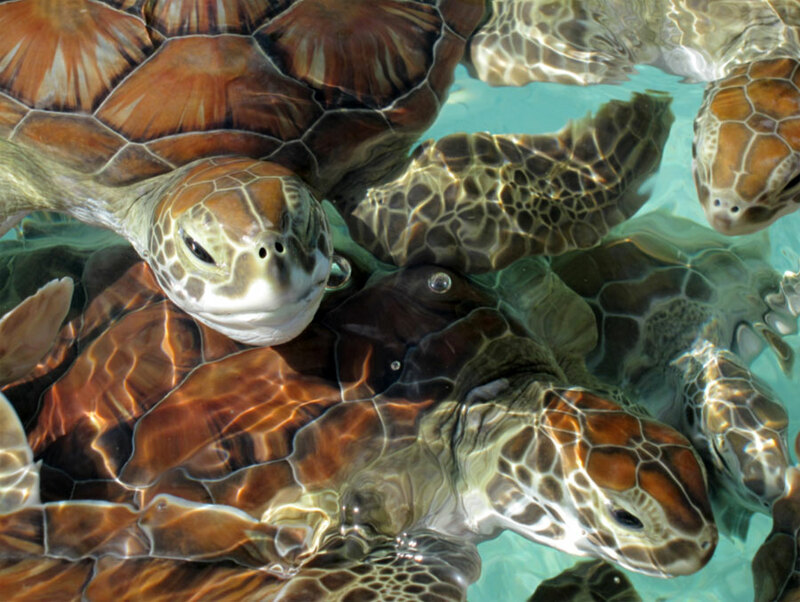 The baby green turtles swimming at this breeding center in Cayo Largo, Cuba will eventually be released into the ocean. A beautiful coastal lagoon in Guanahacabibes, Cuba supports a relatively undisturbed marine habitat, including healthy coral reef populations. 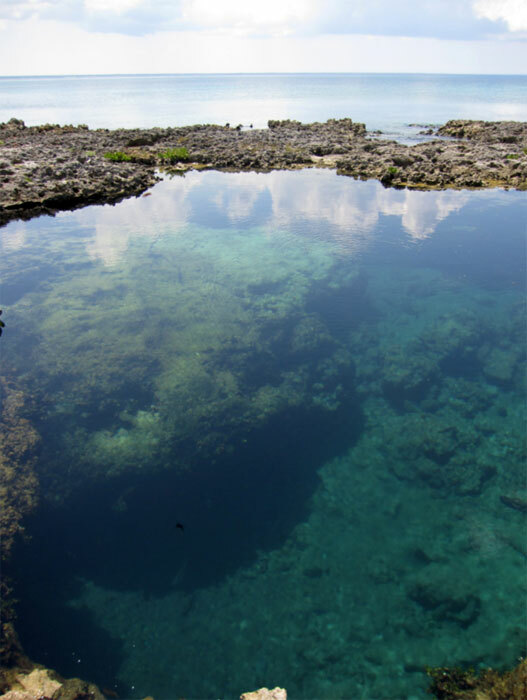 Increased development and pollution negatively impact many of the world's coral reefs. 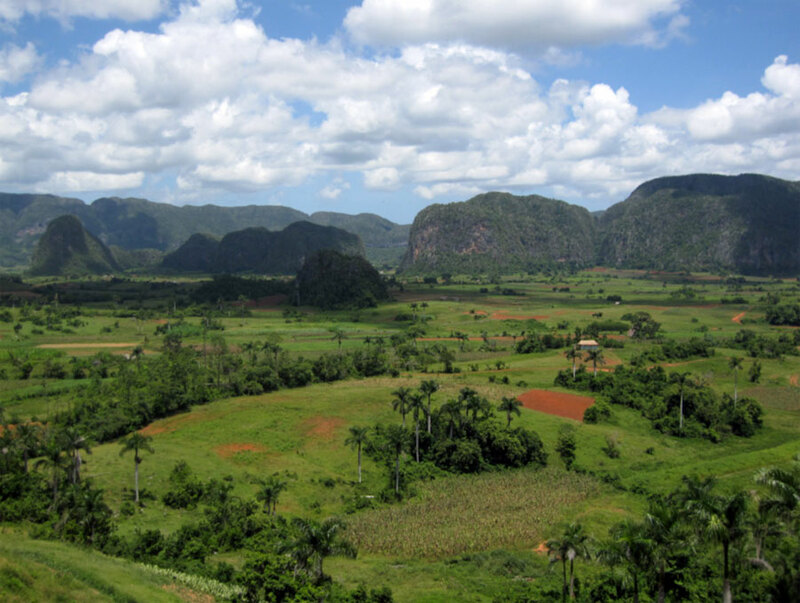 Mogotes rise over the fertile red soil valleys of Viñales in the Pinar del Rio province of Western Cuba, which provides a rich habitat for Cuba’s most famous export, tobacco cigars. 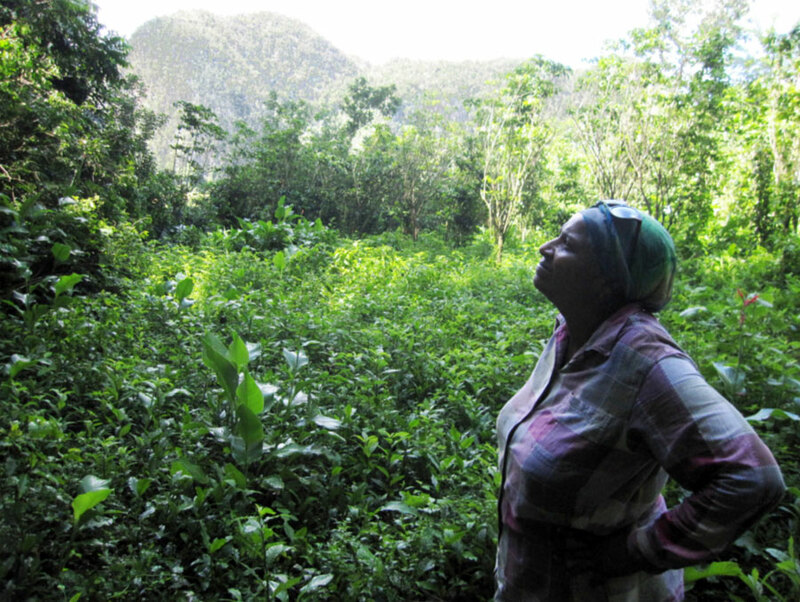 Emma Palacios Lemagne, a Cuban biologist, observes the evolutionary adaptations of snails on an eroded limestone wall. 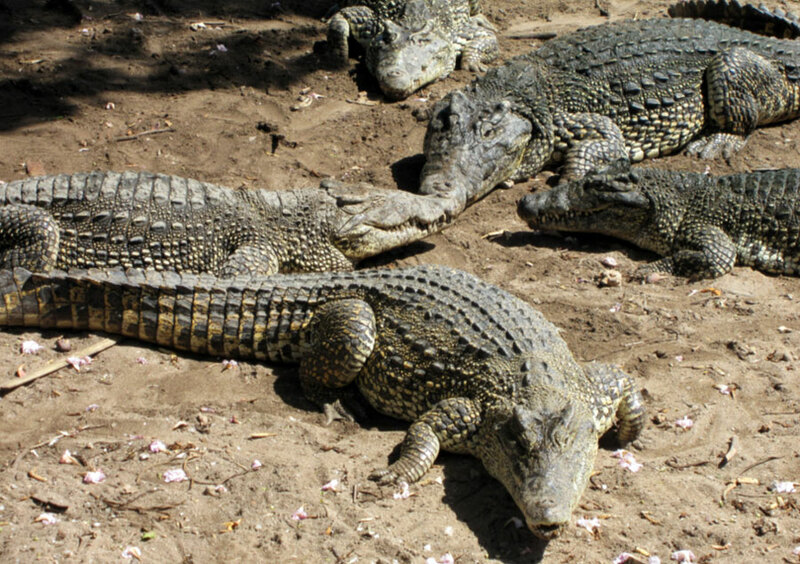 A group of Cuban crocodiles warm up on the shore in the Zapata swamps. Cuban crocs are among the fastest and most aggressive of their kind, best known for jumping out of the water to catch small mammals in overhanging trees.